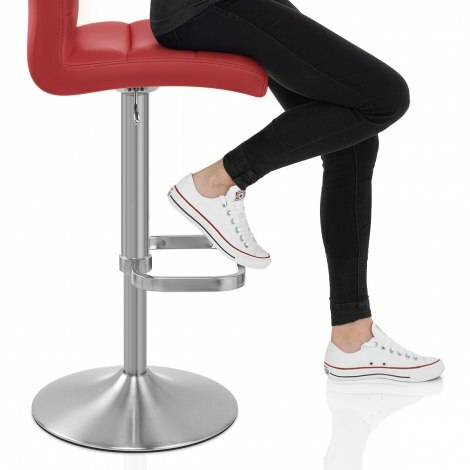 The Lush Brushed Steel Bar Stool Red is a remarkably comfortable model with a stunning modern design that is totally timeless. 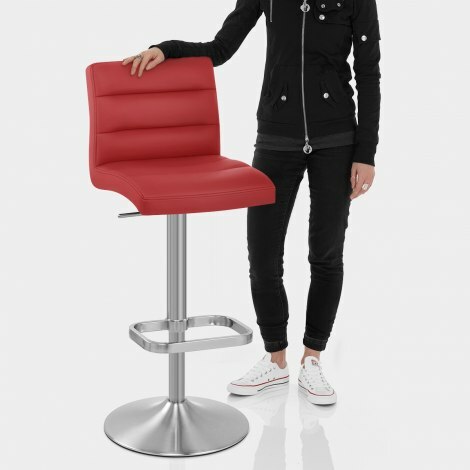 A bold and bright addition to any space, the Lush Brushed is a funky bar stool that is set to turn heads in your interior. Both the seat and the backrest are upholstered in striking red faux leather. They are also densely padded, and feature rows of horizontal stitching. 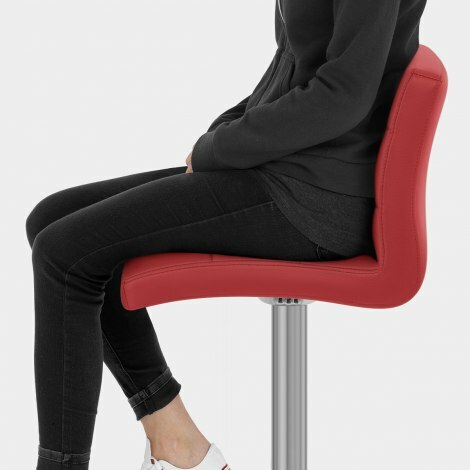 A brushed steel one-column frame supports the seat, which includes a gas lift mechanism for variable height, as well as 360-degree swivel action. A functional rectangular footrest mirrors the clean lines of the seat, finished with a similar brushed effect. Finally, the Lush has a rounded brushed base, incorporating a protective floor guard to help to avoid damage to your floors. "Excellent product. Delivered within 24 hours"
Excellent. product. Delivered within 24 hours and a good service was provided by the courier.